well lets discuss some problem that i faced. i am using Soft-float Debian “wheezy”. In this OS ssh is enabled by default. Now i am hoping your pi up and running now follow the steps bellow. 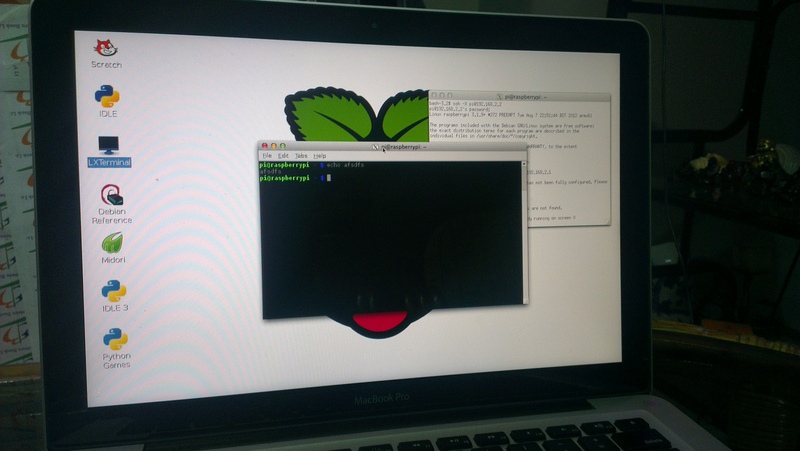 if you are having trouble to access the pi with your IP, then turn of your mac Ethernet and turn on again.